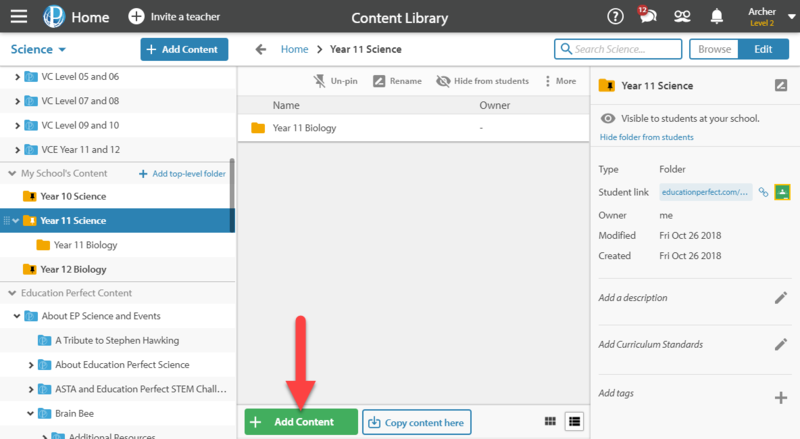 Having content organised in My School's Content means that students and teachers can easily access material that is suitable for their ability, and know where to look to find accelerated or catch up material. 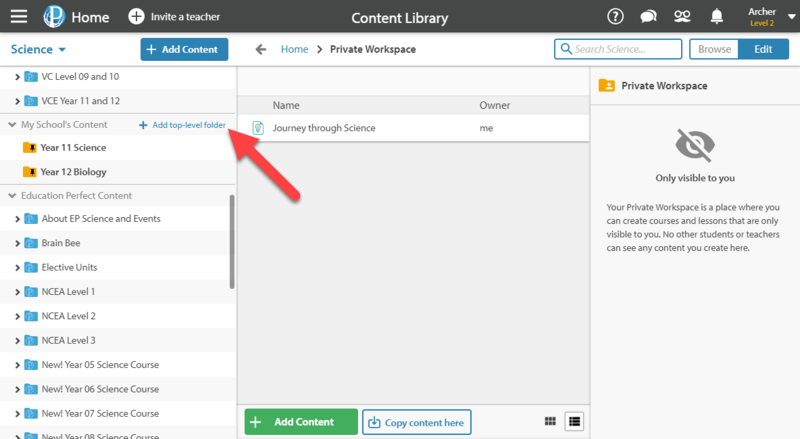 Navigate to the Content Library, from your Control Panel. From here, you can either add content to existing modules or, if necessary, create new modules using the Create a new... button. This will enable you to rearrange content between folders. You can only add content to the My School's Content section and the Private Workspace. To create a new top-level folder, select Add top-level folder. Select a name and then click Create. To create a new sub-folder, select Add Content within the desired folder and pick Folder from the menu. Find the lesson or folder that you want to move and drag it into the required module. To rename a folder, right-click it and select Rename. It can be a good idea to organise folders by year level. This can make it both easier for you to find work to assign to your students and easier for your students to find work appropriate to them. If you're intending for your students to find work for themselves, it's important to make sure the folders you're trying to share with them aren't set to hidden from students. Hidden folders have a faded icon and students will only be able to work on their contents if it has been assigned as a task or assessment. To unhide work, right click it and select Share to public.